Most of us wouldn’t think twice about buckling up ourselves or our kids, but a AAA survey found that only 16 percent of dog owners use a restraint to keep their pup safe on the road. Fortunately, some automakers are working to change that, and Czech automaker Skoda just became one of the first car manufacturers to offer a dog-specific seat belt as an option on their vehicles. Skoda’s doggie seat belt is one of a range of accessories for K9-loving drivers that the otherwise unremarkable automaker has unveiled. And while a protector to keep your upholstery free of hair and dirt is all fine and well, the seat belt is a serious safety feature. There’s somewhere in the region of 70-80 million dogs residing in households around the U.S., and according to AAA, 56 percent of all dog owners drive with their pup at least once a month, accompanying owners on anything from a quick errand to a coast-to-coast road trip. But a phenomenal 84 percent of these rides are conducted with the dogs roaming free, and that’s a serious hazard for both dog and owner. Accidents can happen at any time, and a 10lb dog in a car traveling at 30 miles per hour can exert a phenomenal 300lbs of force—that can do major damage to all parties. Less drastically, unrestrained dogs like to roam, sometimes to the front seats, and that’s a dangerous distraction. 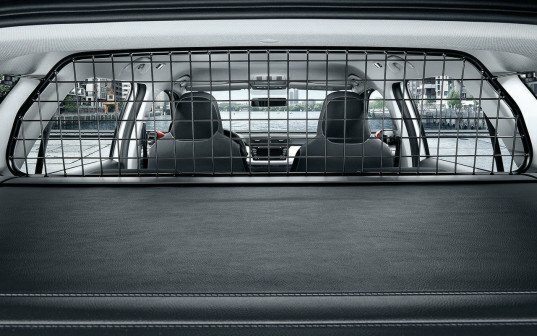 All of which makes Skoda’s doggie seat belt a rather good idea. It comes in four sizes, and can be used in combination with a leash. There are other restraints for car-friendly canines around, and in all cases it’s highly recommended that one do some research; a 2013 study by the Center for Pet Safety found that a number of harnesses woefully underperformed in crash tests. Most of us wouldn't think twice about buckling up ourselves or our kids, but a AAA survey found that only 16 percent of dog owners use a restraint to keep their pup safe on the road. 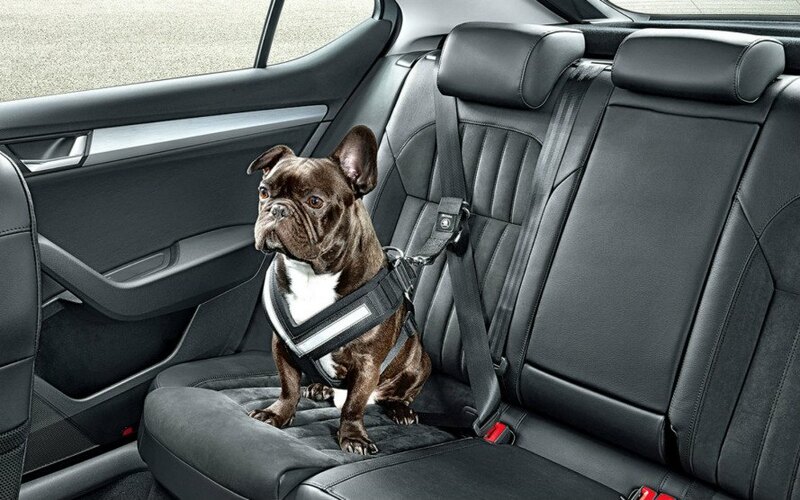 Fortunately, some automakers are working to change that, and Czech automaker Skoda just became one of the first car manufacturers to offer a dog-specific seat belt as an option on their vehicles.